An essential prerequisite for coping with supply chain inefficiencies, cost pressure, and increased customer demand in the retail industry is a close cooperation between retailers and their suppliers. 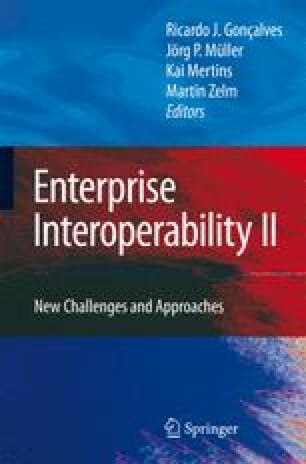 As a consequence, all parties need to develop business processes and organisational structures in order to achieve an optimal level of interoperability with their partners. It is against this background that this paper investigates the example of Metro Group in order to make statements on the need for interoperability in the retail supply chain. We apply an existing framework for interoperability assessment and discuss the causes and motives for suboptimal interoperability ratings. Furthermore, we outline areas for improvement for the given cooperation scenario.